Andy Rubin wants to bring “passion and craftsmanship” back into the world of consumer technology. 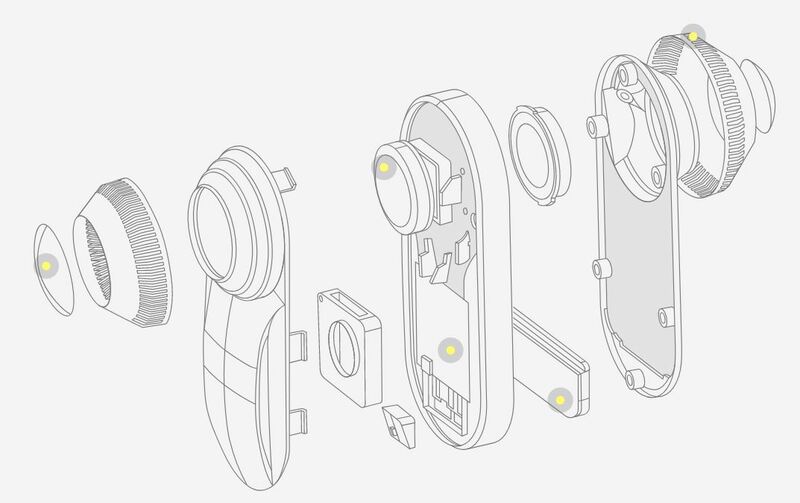 For him and the developers who built the Essential phone, looking into a redesign of the way we upgrade smartphone hardware was the clear first step. 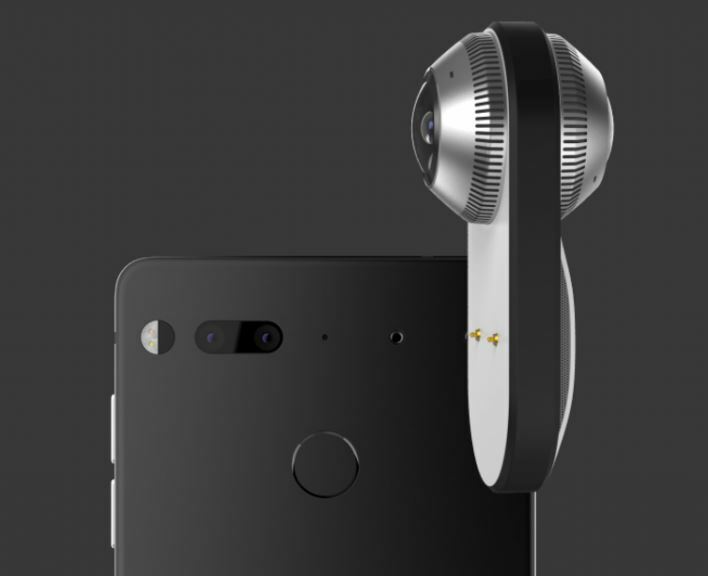 The Essential Phone is the first to offer a magnetic connector with wireless data transfer, so gadgets, chargers, and attachments will snap on and off without the need for excess adapters or cords, no matter where future innovation may take our phones. One of those snap-on gadgets will be the Essential’s tiny 360-degree camera, the world’s smallest and simplest way to capture 360 video. The camera manages to pack 4 microphones and 360° UHD (3840 x 1920) at 30fps video quality into a device that weighs less than 35 grams, for on-the-go capturing of those unforgettable moments. Another peeve that Andy Rubin set out to remove was all of the unnecessary gunk that weighs down the simple beauty of the smartphone. 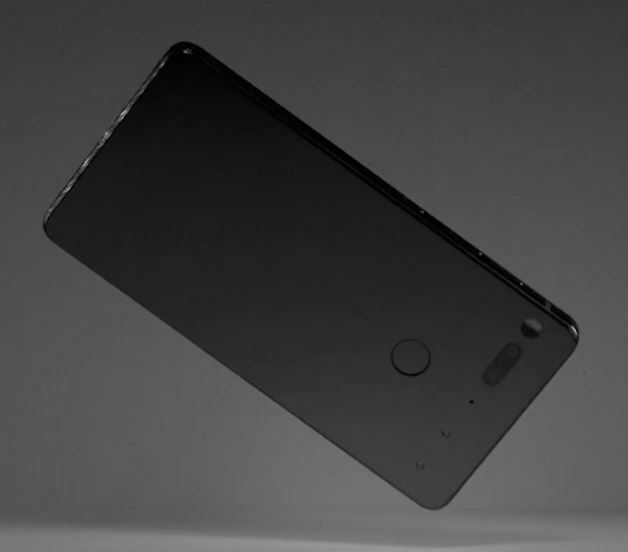 That’s why the Essential, even as a smartphone belonging to an up-and-coming startup in direct competition with Apple, has no logo anywhere on the phone’s exterior. A razor-thin bezel gives the phone its ultra-unique vibe of minimalism, giving the user experience precedence over any unused space. Whether you get your Essential in Black Moon, Stellar Grey, Pure White, or Ocean Depths, be assured that that color will come in uninterrupted, unimpeded titanium. 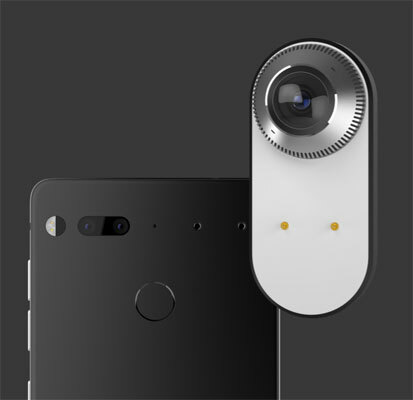 Though the add-on 360 camera is the perfect touch to some already revolutionary new tech, the Essential Phone’s two built-in cameras are impressive alone. 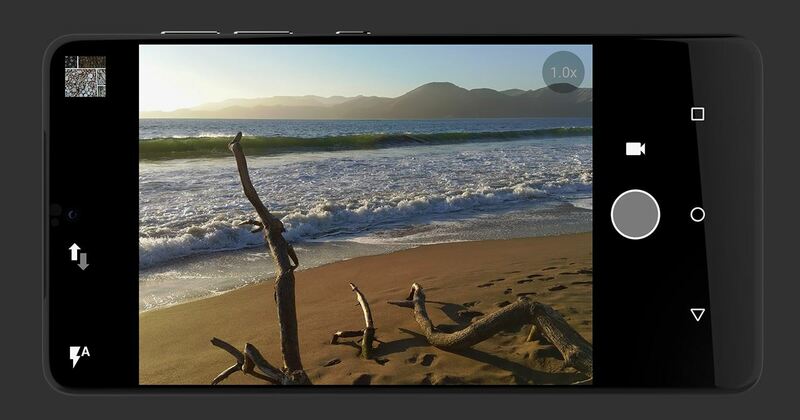 With the “world’s thinnest dual camera system built for a phone,” both the front and rear cameras can capture stunning new depths and 200 percent more light than traditional phone cameras. Even the front-facing camera produces 8MP still photos and 4K video, with true monochrome settings to raise the bar on your photography skills. The Essential’s most interesting feature might just be the material used to hold it all together. In contrast to flimsier aluminum casings on other smartphones, the Essential is built out of titanium and ceramic. Even in drop tests on concrete surfaces, the Essential emerged scratch, bend, and bump-free, leaving no need for bulky cases or extra caution. This is especially impressive given the phone’s minimal bezel, making the Essential a new standard in smartphone strength and design. How to pre-order the Essential Phone from outside the U.S. The Essential Phone is as unique as it is hard to find. As of the announcement of its release, Andy Rubin informed eager consumers across the globe that the smartphone will only be released in the U.S. any time in the near future. For those looking to absolve their smartphone woes overseas, that can be tough news to hear. That’s what Big Apple Buddy is for! With our shopping concierge service, customers in over 110 countries can get their hands on the Essential Phone, without waiting ages for the phone to formally arrive in their countries. 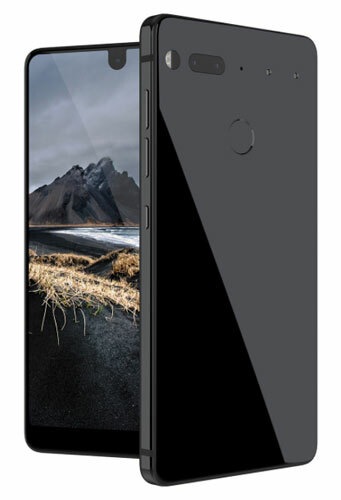 Get in touch today, get a free shipping quote, and get one step closer to seeing the Essential Phone at your doorstep!